While Lily Love 2 – Frosty Jewel is ongoing in Lezhin, you can now get yourself a physical copy of the fourth volume of Ratana Satis’ Lily Love! You can pre-order your copy today until November 25. One book purchase is priced at USD $21 (including shipping). 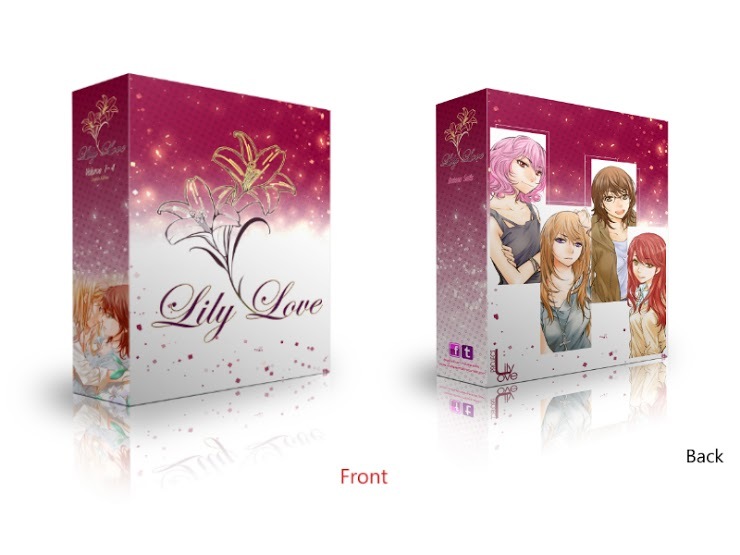 If you are looking for a case to fit all your Lily Love volumes, a soft box is also available priced at USD $3. Lily Love is one of Ratana Satis’ first successful GL work before her webtoon hit masterpiece Pulse. The series was first released in Thai and was later available for English. It centers on two different girls Donut and Mew as their closeness slowly begins intimate. Their relationship is encountered with a lot of hurdles and doing their best efforts to be there for each other. While the first Lily Love is centered on Donut and Mew, its second installment Lily Love 2 – Frosty Jewel is centered on Ploy and Ice. Lily Love 2 has just started its second season. Lily Love is also available digitally in Lezhin Comics. Next Yen Press Announces New Yuri Releases During Anime NYC Panel!